The Ever After Storybook Sessions are in full swing, and I'm particularly proud of this one! Clemens High School senior Liz Waggle worked with me on this idea for almost a year, and I think it surpassed our expectations. 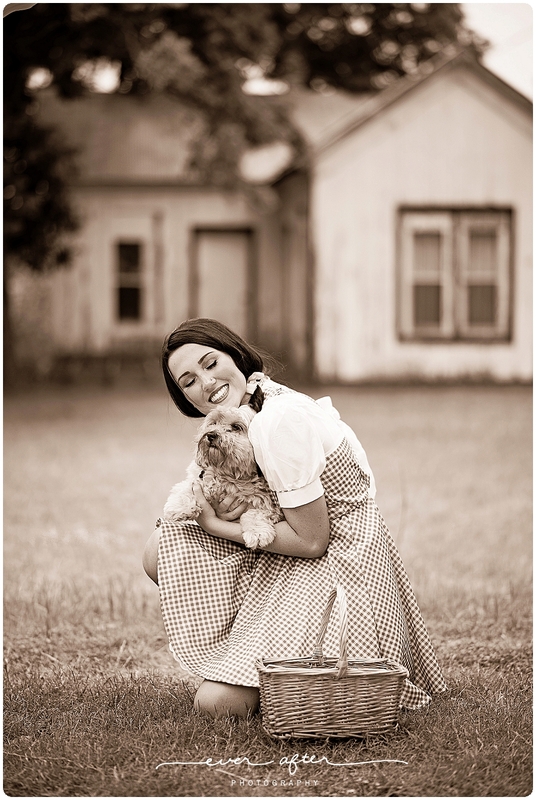 Every detail is perfection; her ponytails, her dress, her ruby slippers and even her dog. We started out at her house for the "field of poppies" scene. The role of Toto was played perfectly by Liz' sweet dog, Ducky. Doesn't this old house look like it came right out of the movie? For lush color and winding sidewalks for the Oz portion of the shoot, I couldn't think of a better location than the . San Antonio Botanical Gardens. 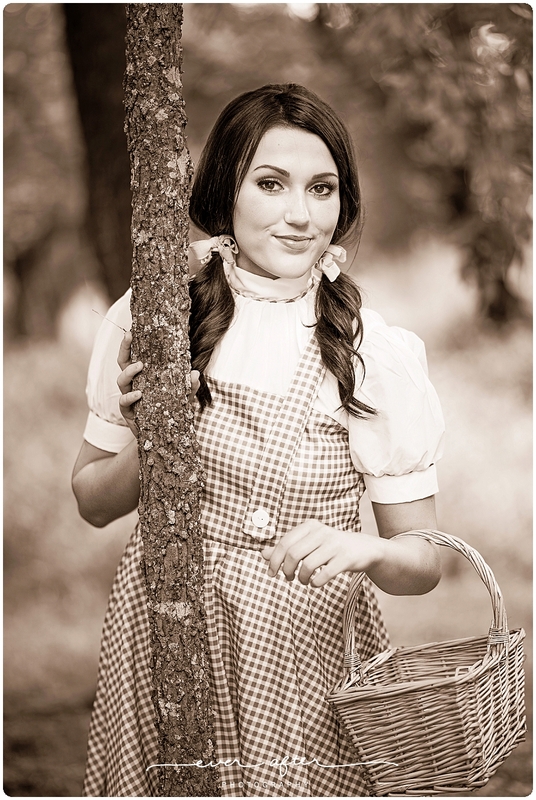 Ever After Photography is now booking Storybook shoots, for pricing and details CLICK HERE to send a message to me with your ideas and to get your shoot booked!